This year marks the 50th anniversary of The Beatles’ psychedelic epic, ‘Yellow Submarine’. To celebrate their greatest cinematic triumph we’ve developed a dedicated capsule collection that echoes the masterpiece in all its kaleidoscopic glory. On July 17, 1968, the world premiere of ‘Yellow Submarine’ took place at the London Pavilion on Piccadilly Circus. The Beatles had largely retreated from the public gaze by this point with the majority of that year spent in India and working on what was to become the White Album. The release of their third big screen outing however, would soon catapult them back into the public’s consciousness. Helmed by the highly regarded illustrator Heinz Edelmann, the former cover designer for innovative German youth magazine Twen, and director George Dunning, who oversaw ‘The Beatles’cartoon show for ABC, the whole project was undertaken by a team of young, as yet unknown, artists in a small Soho studio. What they managed to produce is a vibrant, extraordinary film where the animation itself represents a melting pot of artistic styles and a visionary, visual interpretation of some of The Beatles’ greatest sonic adventures. It was, and remains, a subversive sensation. In collaboration with Apple Corps Ltd we’ve reworked some of the film’s most striking elements into bespoke, eye-popping prints and cuts. Our capsule collection features a unique Harrington with Yellow Submarine lining and a stunning Lennon-inspired denim jacket with detailed,embroidered patches. 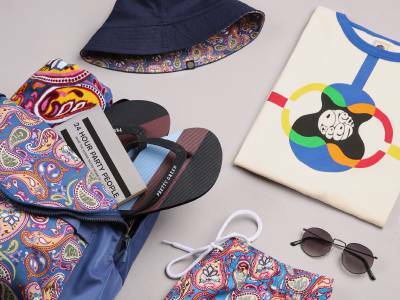 Elsewhere we’ve added repeat pattern swim shorts, lightweight shirts and t-shirts emblazoned with stills and artwork from the film, reworked into all over psychedelic prints. We’ve also included specially designed, reversible bucket hats featuring bold prints and patterns. 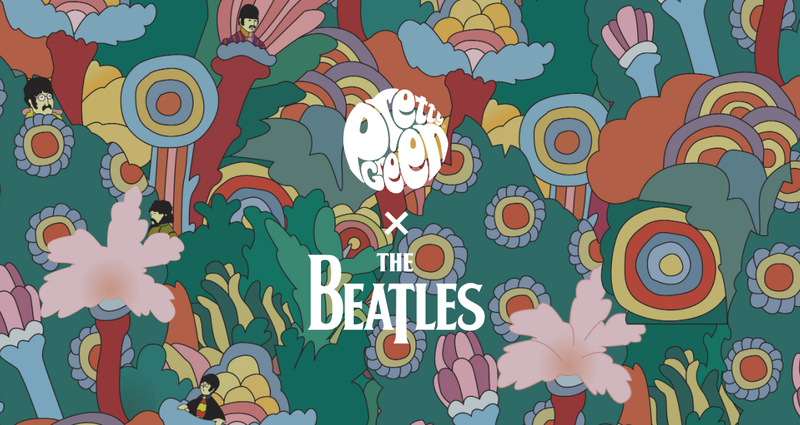 Alongside the collection we’ll also be featuring the previously sold out, limited edition Yellow Submarine Happy Socks as well as stocking exclusive vinyl toys in collaboration with Titan Merchandise. We hope you enjoy the collection and remember: all you need is love. 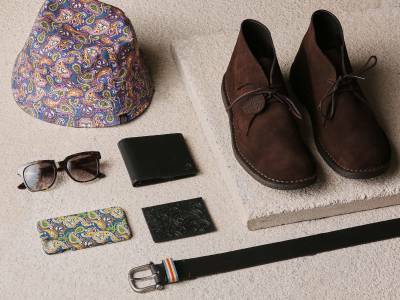 Gift With Purchase – In-store and online.